Enjoy privacy minutes from downtown Southern Pines. Move into this opportunity and put your stamp on it or fix and flip, you choose. 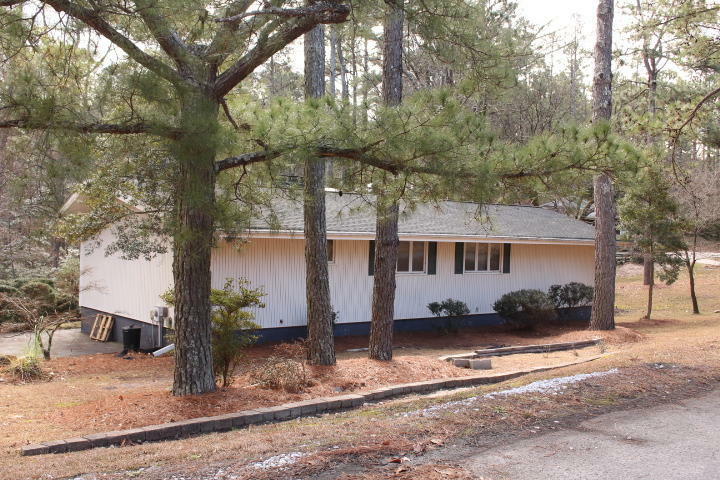 This 3 bedroom, 2 bathroom home sits on a .62 acre lot just minutes from downtown Southern Pines. The light and bright living room with vaulted ceilings and wood burning fireplace overlooks the wooded property behind you. The eat-in kitchen has plenty of cabinets, and the kitchen skylight really brightens the space. Large sized master with walk-in closet. Basement is a perfect workshop and storage space. Roof replaced in 2013; HVAC and Water Heater replaced in 2017. Schools have been confirmed through Moore County GIS. Buyer should confirm prior to closing.